● 背包客 資訊新聞 - Backpacking Info. 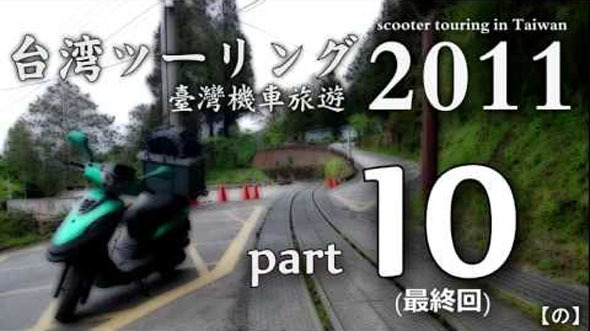 ● 音樂 A - Torn Between Two L.
現在位置：旅遊 > 臺灣環島機車遊 2009, 2011 - Motocycle Tour Around Taiwan. 臺灣環島機車遊 2011 - Scooter Touring in Taiwan. 我又回來了! In 2011, he was back to visit Taiwan again. He made another series of ten videos.